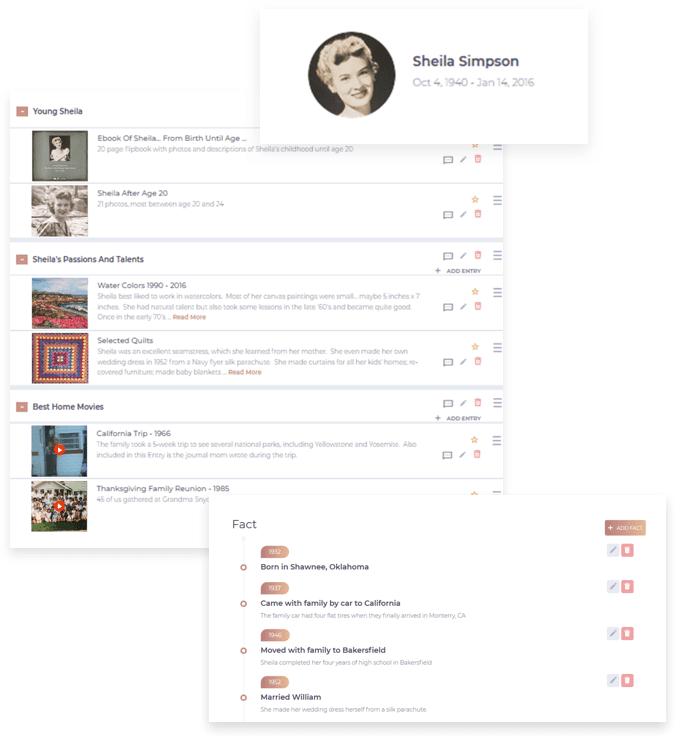 Collectionaire uses the power of cloud sharing to bring a totally new approach to curating and archiving your family’s most cherished photos, videos and keepsake memories. We are different in many ways, including where your photos and videos are stored, how they are accessed, and how they are shared. Instead, you’ll keep them in one, or several, of the web’s most secure cloud sites, where your content will be safely stored and beautifully presented. Choose photo-sharing sites that include Google Photos, Apple Photos, SmugMug, Flickr and others, and video streaming sites like YouTube, Dropbox, Google Drive, and Vimeo. If many of your photos are still in prints, and movies on film or tape, transferring these to digital files is likely easier than you think. Our Help and Support section will guide you every step of the way. Cloud photo sites are great for storing and viewing content, but simply not designed for building and managing a family archive. And no single cloud site is best for all media types. Collectionaire solves these problems. 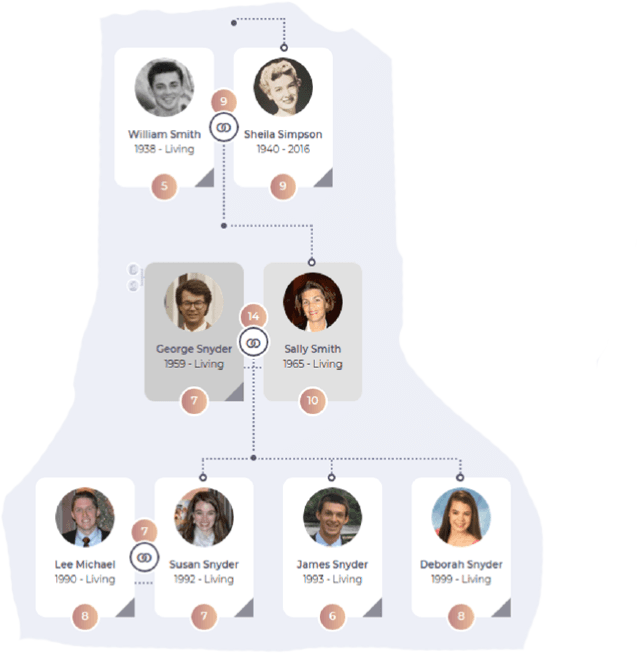 It was elegantly designed as a clean, simple aggregator and web portal, where your family tree becomes a single direct link to all of your family’s treasured memories and collections. Clicking on any family member takes you to their personal collection page where links to your cloud-stored content will be found. The circle icon connecting a couple takes you to their family collection page. You’ll add unlimited “Entries” to each Collection page. Clicking an Entry’s preview image links you directly to the photos and videos in the cloud site where they are stored. 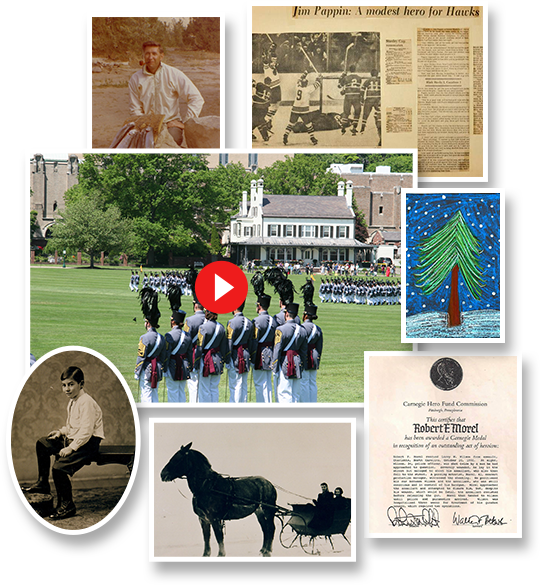 Collections can include photos, photo albums, home movies, stories, recordings, news articles and journals… anything memorable that can be digitized for future viewing. For example, add a child’s photos, recitals and creations; a legacy tribute to a lost parent; or the best of your family’s times together. With Collectionaire, you’ll share your living archive with family and friends. Simple permission settings give you complete control over which media items you allow others to see, and which stay private. You can also grant selective edit privileges for friends or family to add to your collections. 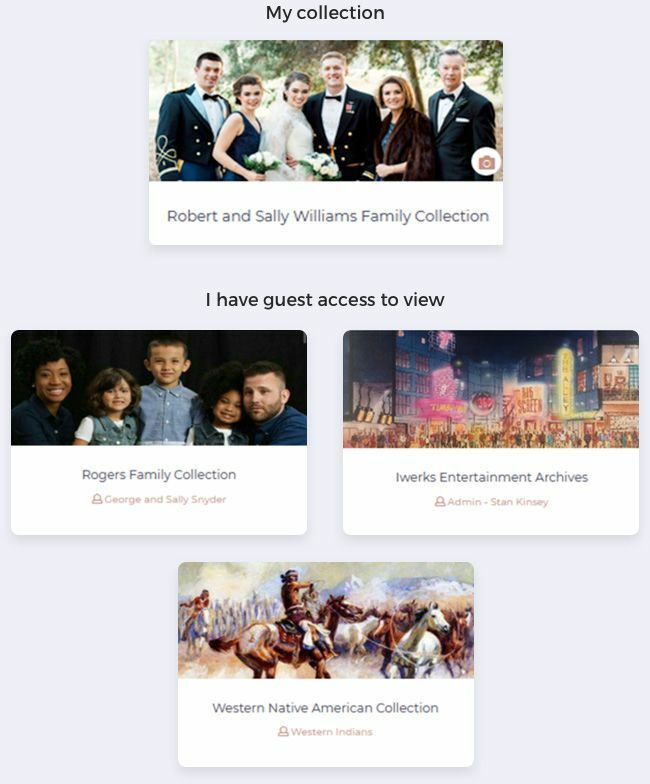 Friends and family can view your media on any connected device. Building Your Family Tree is FREE. Plan pricing is based upon the number of Linked Albums in your account. Coming soon… Collectionaire mobile apps.